Everybody makes mistakes, and that goes all the way down to the molecular level. 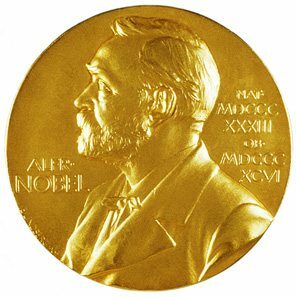 This week, three scientists working on their own over the last four decades were awarded the Nobel Prize in Chemistry for their contributions to our understanding of how those mistakes happen and how our cells repair the errors and damage in our DNA. The Royal Swedish Academy of Sciences recognized Tomas Lindahl, Paul Modrich and Aziz Sancar for their contribution to our understanding of the mechanics of DNA repair. “Their systematic work has made a decisive contribution to the understanding of how the living cell functions, as well as providing knowledge about the molecular causes of several hereditary diseases and about mechanisms behind both cancer development and aging,” the Royal Swedish Academy of Sciences, which awarded the prize, said in a statement. To grasp the significance of their work, it helps to understand a little bit about what happens when our cells divide, and all the chromosomes are copied and the DNA replication kicks into gear. While it’s a pretty perfect process, mistakes happen. Instead of adenine always pairing with thymine, and guanine always pairing with cytosine – your ATGCs – sometimes there are mismatches. Errors also occur because one of the bases in a pair might degrade in a way that a base can’t pair properly. Finally, the assault of everyday life – from exposure to carcinogens, to too much ultraviolet radiation or the occasional donuts – can damage DNA and make two bases bind to each other incorrectly. Fortunately our bodies have mechanisms to fix most of that, and it’s the work of Lindahl, Modrich and Sancar that has helped us understand the different aspects of the repairing process. It was Lindahl’s work in the 1970s that laid the foundation. He also identified the enzyme that is integral in the repair process. Sancar’s work looked specifically at nucleotide excision pair, or how damage from things like ultraviolet radiation and carcinogens is fixed. And Modrich’s work dealt specifically with mismatch repair, how the errors are detected and then fixed. Understanding the process, particularly when the repair process itself is somehow broken, can lead to the development of treatments for hereditary diseases or cancers.